Moving into a new semester or quarter of school often prompts teens and their families to put thought into past and future grades. Whether your teen didn’t do as well as they had hoped in the previous quarter or they just want to do above and beyond their norm this next quarter, there are a few defining areas to investigate before moving forward. The information below may vary depending on each individual class, but once your teen examines the following areas in their classes of concern, they will be more prepared to create goals and an action plan to improve their grades. How the grade in a class is calculated often gets overlooked. For most classes, especially high school and college credit courses, the grade includes categories which are weighted. When a class grade is weighted, this means that tests, homework assignments, class work grades, lab grades, etc. can be a larger percentage of the grade than other parts. Or, teachers often give homework and class work pieces less points than they do a test or a project. It’s important to check back with the class syllabus or contact the teacher directly if your teen is unsure about how their grade is being calculated. Once you know how your teen’s teachers calculate grades, look back at not only the overall grades for the class, but also have your teen analyze their test, quiz, project, and other assignment grades that went into that final grade. They should refer to their online grade portal, look through tangible assignments and tests, or seek out the teacher to ask about specific grades throughout the previous quarter(s). Look for overarching patterns such as low test grades, missing or incomplete assignments, etc. Knowing how the grade is calculated can shed light on the outcome of your teen’s grade while analyzing their previous grades. While analyzing your teen’s specific prior grades and identifying patterns, it’s extremely valuable to help your teen identify why those patterns existed in their grades. If they had multiple missing or incomplete assignments, why did that occur? What stopped them from completing or turning in everything? If they earned low test or quiz grades, were they studying effectively? Were they dedicating time to their reading or studies for weekly quizzes? Do they participate in class when they are expected to participate? Some of these probing questions will help your teen open up about their achievement, but if they are struggling to answer these questions, it may be helpful for them to talk to or meet with their teacher to inquire about where their opportunities lie. Going through the previous steps may be a bit discouraging for your teen, but it will help them to reflect on what they can do better in the future. 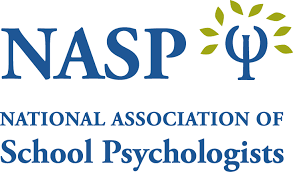 They should create an action plan, either for all classes or for each individual class, containing what they will do better in the future to earn the grades they want. 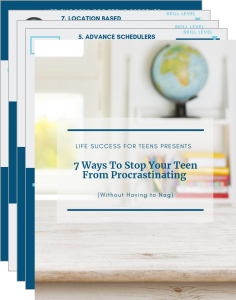 This action plan should be a short, concise list of actions or habits that would help your teen improve upon areas that they need the most growth in to earn a higher grade. The actions on this list should be measurable and simple, so that your teen can easily know if they are achieving them as time goes by. It helps to start each action as “I will…” This will give your teen ownership of their action plan and motivation to fulfill it. They can write this action plan and keep it somewhere safe to view week by week, or they can display it in their planner, on the front of a folder or book, or in their room where they can see it and stay inspired to stick to it! The process listed above can help your teen self-reflect and improve their grades throughout the school year. Comment below with success stories of your teen improving their grades!